Laerdal’s Government Distribution Network specializes in the following markets; Department of Defense, Department of Homeland Security, Indian Health Service and the Department of State. They are available to assist you with obtaining Laerdal products and help answer any questions you may have related to the GSA, ECAT, DAPA and other Tailored Logistics Support Programs. We are a medical supply company that uses technology and insight to provide smarter ways for all of our clients to source and purchase medical supplies. While our focus is and always will be innovation, it is our commitment to understand our partners’ needs that will continue to fuel AMD’s growth as one of the nation’s largest diversified medical equipment companies. As we expand into new markets, our value-add model, deep industry experience and leadership will continue to redefine what is possible by delivering smarter, more cost-efficient turnkey solutions for underserved and emerging commercial markets. Beacon Point Associates, a Service Disabled Veteran Owned Small Business (SDVOSB), works with market-share leading and specialty medical equipment manufacturers for sales to the U.S. Federal government. Beacon Point Associates was founded by a former senior Naval Supply Officer with extensive first-hand knowledge of government acquisition, contracting and procurement processes who spent the past 14 years in private industry working with medical manufacturers to grow their sales within the Federal healthcare marketplace. 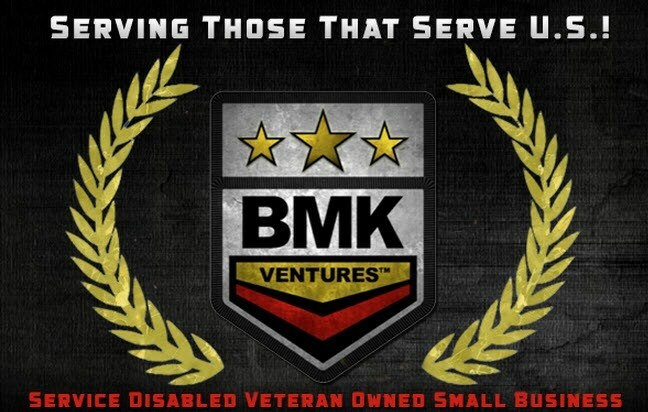 BMK Ventures, Inc. (BMKV) is a certified Service Disabled Veteran Owned Business (SDVOB) by the U.S. Department of Veterans Affairs (VA) Center for Verification and Evaluation (CVE) based in Virginia Beach, VA. Our sole focus is to provide our customers with innovative products, procurement options, and training services. Our mission is to provide fast, efficient and dependable service to fulfill our customers' unique needs.